Different diseases are triggered by different causes. However over-acidity or acidosis is usually the common cause for most degenerative diseases including osteoporosis. Nutritionists agree that acidosis is a consequence of nutritional deficiencies associated with today’s acidic foods and diet. The human immune system, body metabolism and physiology work their maximum to maintain life and ensure the body pH levels are slightly alkaline. This is why healthy blood pH levels are within the range of 7.35 and 7.45. Anything beyond or below the maximum pH zone leads to a progressive deterioration of body vital functions and development of degenerative diseases like osteoporosis over time. Acidosis is a condition where excessive acids accumulate around and in cells and is highly toxic for the individual cells and body. When in acidosis, your body works to eliminate or neutralize the excess acids through its main regulatory defense mechanisms. It first eliminates excess acid through urination, blood circulation, breathing and sweating. The remaining acids accumulate in the body and ends up using and depleting the body’s mineral alkaline reserves. This is when calcium is specifically leached out first from the soft tissues and blood and then from the cartilage, bones and teeth to eventually lead to osteoporosis. This is why it’s essential you keep your body alkaline for optimum health by following an alkaline diet. This diet comprises of 80% alkaline-producing foods and not more than 20% of acid-producing foods which protects the bones’ calcium contents. Research conducted by the Journal of Clinical Endocrinology & Metabolism, acidic diets based on phosphoric acid, cereal and protein accounted for the loss of bone mineralization. However high alkaline diets with fruits, minerals and vegetables help protect the bones from calcium loss. As many fruits and vegetables are high in mineral citrate content, and raw food has more potassium citrate, foods like bananas, apricots, melons, oranges, tomatoes and citrus fruits should be included in your diet. Research was also conducted to find out if the consumption of alkaline substances would lead to a loss of bone calcium. The results were positive where the researchers found out that bicarbonate plays an important part in the excretion of bone calcium. This thus suggests it’s especially important for older people to increase the alkali content of their diet to protect their bones from calcium reduction. Additional studies were carried out at Johns Hopkins University where it was found that potassium citrate was vital at boosting skeletal health. Researchers also noted that dietary acid ingestion because of the typical Western diet had a great impact on the skeleton as it upset the body’s calcium metabolism. Results proved that potassium citrate could counteract excess body acid to enhance calcium balance. Moreover consuming more of alkaline foods helped lower the risk of bone problems like bone loss, bone fractures and osteoporosis which arose because of calcium deficiency. We have to be concerned about preventing osteoporosis which can lead to bone fractures, which in turn leads to loss of mobility and consequent isolation and reduced mental, emotional and physical health. 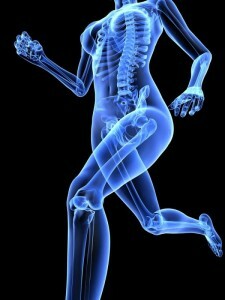 This is best and naturally done by improving bone health by following an alkali diet with more alkaline foods.